Freedom and fear are always together. A safe, non-judgmental space to reconnect with your body, explore your abilities and work through your limitations. Growing up in Bangkok and living most of her adult life in Sacramento, Om has adopted the best of both worlds: Thai humility and Californian easy-going mentality. She holds a Master’s degree in Creative Writing and worked in the education field for several years until she was introduced to Pilates. The fun and physical benefits were definitely part of the reasons she fell in love with Pilates. But as someone with a persistent “monkey mind,” Om found the mind-body connection aspect of it to be the most valuable. Experiencing her mind and body working together harmoniously for the first time was truly amazing. Needless to say Pilates quickly became her addiction (a very good kind of addiction!) that later turned into a joyful career. 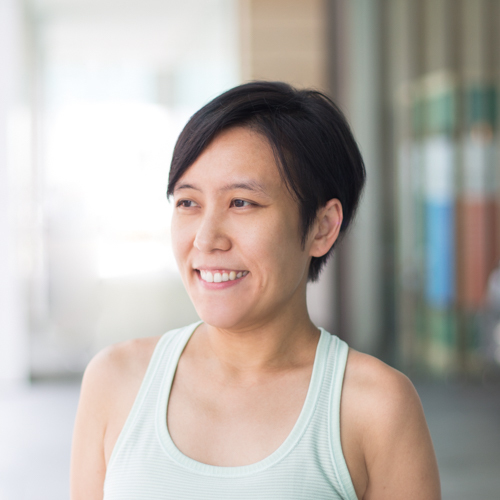 Om is a fully-certified BASI instructor with an advanced certification in Pilates for Injuries and Pathologies. In California, she has worked with a wide range of populations including seniors over 60, athletes recovering from injuries, as well as people with chronic problems such as arthritis, osteoporosis, and multiple sclerosis. Her number-one goal is to help her students achieve their optimal health while having lots of fun!